How do we better create a culture of mutual aid, reciprocity, co-operation, and collaboration in our cities? How can more public social eating spaces be made and how can they be more inclusively designed? At a time when public services are increasingly under threat, can we create an entirely new one? The National Food Service is, a new idea. A public system emerging from a network of social eating spaces across the country. The current goal is to create a system we can work together better, sustain ourselves financially and culturally, and scale the social eating movement so that everybody in the entire country is in direct benefit. Many more people could enhance their well-being with social eating and this is why growing a National Food Service together is such an important goal. As part of Sheffield University’s Festival of the Mind, Foodhall hosted the first discussions about a National Food Service. Foodhall inviting a number of prominent academics, people active in the food sharing movement and citizens who are passionate about the topic to come and think about strategies. Each year the educational and solidarity platform will be hosted by a different group across the country, though a network of mutual contribution. In 2019 the Symposium is being held by Marsha Smith and the Nottingham based contingency of food-sharing spaces. 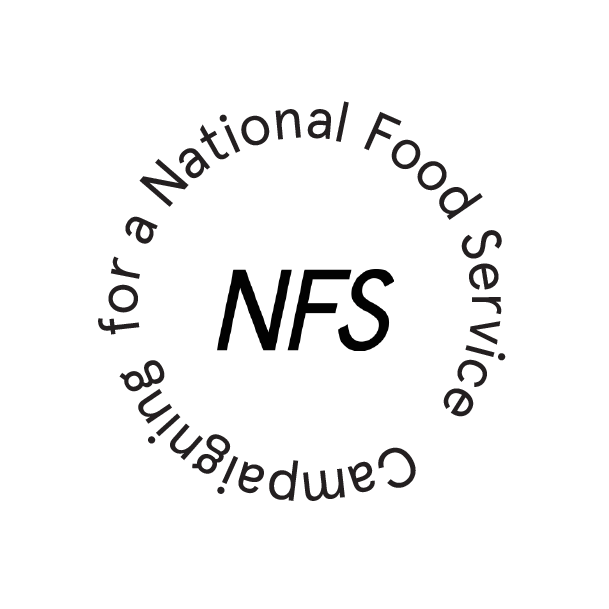 The National Food Service will be built cooperatively out of collaboration between many different organisations and informed by many different thinkers. This is why the symposium is just the beginning of this discussion. For full events listings for the National Food Service can be found in our symposium programme.